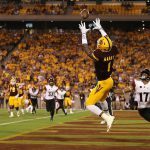 My first 2018 rookie mock draft was published back on Sept 6 and while some things have changed, I am actually quite pleased with how my mock draft held up throughout the season. I followed the same guidelines here as I did back in September. 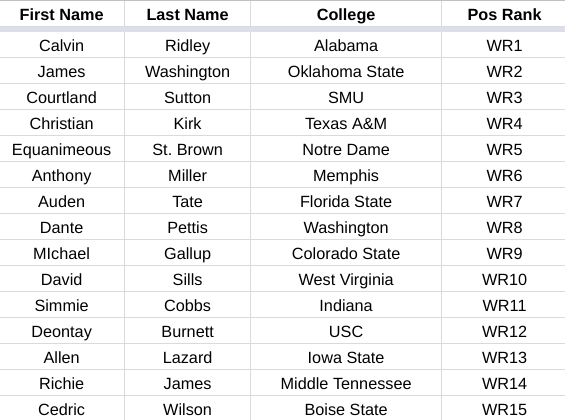 Namely, I used two base assumptions: 1) a standard one QB roster setup and 2) any junior good enough to be considered will declare early (the deadline is Jan 15 so by the time you read this we may already know that some guys are not going into the draft). Players are broken down into tiers and I have noted where they were mocked last time to show their movement from version to version. To view version 1.0, click here. Version 2.0 never saw the light of day as Bryce Love, Damien Harris and Myles Gaskin decided to return to school before publishing (for what it’s worth they were at 1.09, 2.06 and 2.09 respectively). I also compile mock draft information for the /r/DynastyFF sub Reddit which you can view here. Share your thoughts with me on Twitter @robertfcowper. Barkley is in a tier all by himself. He’s a supreme athlete (possibly sub-4.40 speed) with good vision and is a good pass catcher. He’ll be the consensus first pick in just about every fantasy rookie draft and could be a Top 5 NFL Draft pick. Don’t overthink it. (Note: this was written prior to Nick Chubb’s poor performance in the championship game. In hindsight, I am less confident about placing him at 1.02. One game does not a career make but still he played poorly against a defense full of NFL talent. I will re-visit this in the offseason) I now have Chubb and Guice flipped compared to where I had them to start the season. Heading into the season, Chubb’s 2015 knee injury felt like more of a concern than it does now since he has completed two full seasons since. Their stats this season were similar but Chubb had a slight edge as a rusher (1,320 yards and 15 TDs for Chubb, 1,251 and 11 TDs for Guice). Neither is a receiver like Barkley. Both backs have a career high of 18 receptions in a season – Guice did so in 2017 while Chubb did so as a freshman in 2014. The margin between the two for me is razor thin. I lean towards Chubb since we have a bigger sample size. I still have Ridley as my WR1 even though 2017 was not a great season (just 59 receptions, 935 yards and 4 TDs prior to the championship game). To my eye, he is just the most skilled WR in the class, regardless of his production. He is very fast (4.35 40 yard dash in the Spring), jumps well enough to out play his 6’1″ height and is a good route runner. Washington is pretty quick himself but he just doesn’t seem as polished as Ridley. It’s hard to argue against Washington’s production but I think he’ll be drafted later than Ridley and won’t be as good of a pro in the long run. Washington is this high though because I think he will make an early impact in the league if he lands on the right team. Jones makes a huge jump from 2.07 to 1.06. I questioned his size to start the year, I thought he was too tall for his weight, but am no longer as concerned because he put on some weight. He’s such a quick and fast runner and was very productive this year (1,550 yards, 19 TDs). If he was a little more “squat” but just as fast and nimble he’d be challenging for the 1.02. Rashaad Penny made a huge impression on me this season. I noticed Penny in August but thought he was more of a returner than a running back. He proved his worth as a rusher (his 2,248 yards led the FBS) but still managed to contribute as a return man (3 return TDs). Penny will probably be an early Day Three draft selection but I think his value as a return man will help him see the field earlier. Bryce Love originally found himself in this tier before deciding to return to school. Conversely to the ascending Penny, Sutton’s stock is falling for me. Sutton has the best size of the top three receivers (6’4, 215lbs) but I have some concerns. 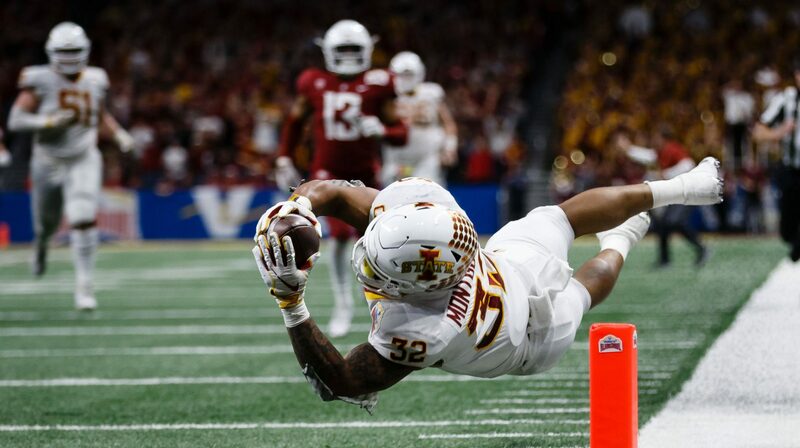 In my past research, I found that he mostly beat up on bad defenses; against the best defense he played this year (TCU), he was held to one catch for zero yards. It also bothers me that Sutton was not the leading receiver on his team this year (Trey Quinn had more receptions, yards and touchdowns). Sutton likely saw extra defensive attention but if he’s to be an NFL star, he must be able to dominate even against double coverage in games against lesser defenses. 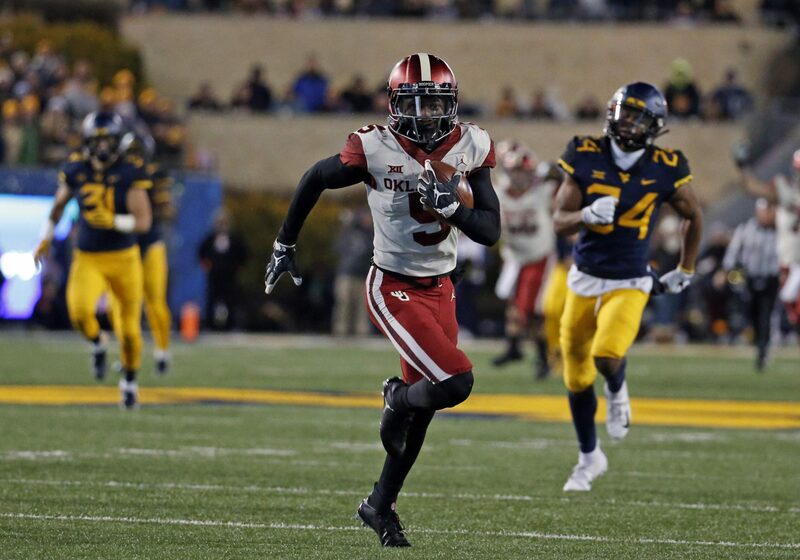 Interesting stat for Sutton, 8 of his 31 career receiving touchdowns came in three games against North Texas. I want to see him at the combine – if he comes in smaller than advertised he could fall out of my first round. This tier features some of my favorite players in the draft in terms of value. I was high on Freeman to start the season before he came out on fire (10 TDs in the first four games). His pace slowed in the middle of the season but he finished strong too with 6 TDs in the games against Arizona and Oregon State. He decided to skip the bowl which was disappointing because I wanted to see him against Boise State’s defense. Despite the positive impression he made on me, I do have him a little lower now because he was jumped by Ronald Jones and Rashaad Penny at the position. Two players who did not skip the end of their seasons are Anthony Miller and Sony Michel. Miller is an absolute gamer who I want on my team. He’s not that big or that fast but he’s just productive. He runs routes well and has possibly the best hands in the class. He could have broken his leg in the AAC Championship game and he would have still finished the overtime. It may be a bit of a reach but I’m willing to take Miller at the end of the first to guarantee I get him. Michel is sometimes overshadowed by Chubb but he’s just as good in his own right. He has two 1,000+ yard seasons to his name and a career 6.1 yards per carry average. He is a better receiver than his 9 receptions in 2017 show. In 2015 and 2016 he had 48 combined. The hype on Michel is growing so you may not be able to get him at 2.01 but let’s not overreact to two nationally televised games. Michel will be a solid pro but I’m not willing to jump him over Chubb. Kirk dropped because I was probably too high on him originally but I still like him. He’s a great return man but so many of his receptions come at the line of scrimmage that I worry his NFL role may be limited. This is where my RSO mock will diverge slightly from a true dynasty mock. 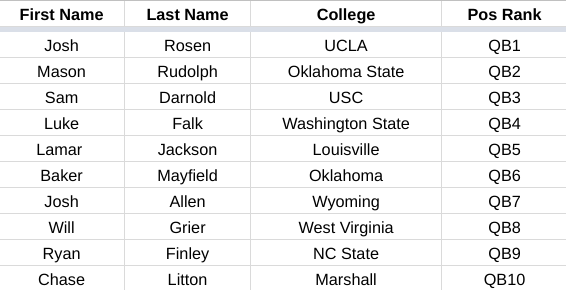 I strongly believe that going quarterback early in the second round of your rookie mock is the way to go. The salary paid will be less than $2mil per season which is a fantastic bargain for a starting quarterback, especially considering that most quarterbacks taken in the first round of the NFL Draft will see game action sometime in the first season. The return on investment here is so high when you “hit” that it’s worth taking a chance on a “miss.” Readers will notice that 1) Rosen has jumped Darnold and 2) I am taking the QBs a little later now. Neither guy had a great season and they both come with some warts so I think this spot feels right. Even if Darnold gets drafted higher, barring some crazy trade that lands him on a good team, I would go with Rosen first as I feel he is more NFL-ready and will realize more value during his four year RSO rookie contract. This was a very tough stretch for me to rank. 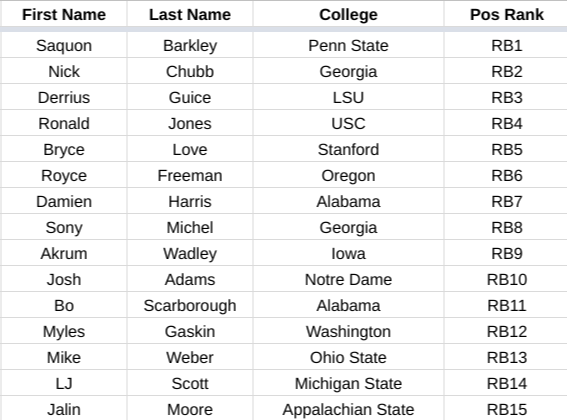 I originally included Myles Gaskin and Damien Harris in this tier but they are now removed as they seek a higher grade next year. St. Brown dropped between mocks because he only had 33 receptions. 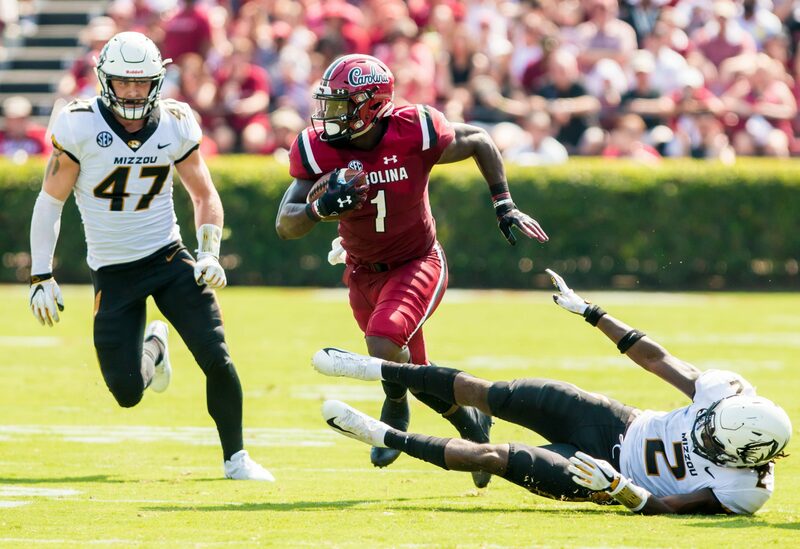 Like Calvin Ridley, he was the leading receiver on a run-heavy offense. I didn’t count that against Ridley but I do against St. Brown because it’s tough to invest highly in a guy with just 92 career receptions. St. Brown would have dropped further if it weren’t for the decisions of Love and Harris ahead of him. Wadley and Gallup mostly stayed under the radar this season but move up in my rankings even though their per-touch averages decreased. They both significantly increased the number of touches they handled this season and played well in their biggest games. Gallup totaled 21 receptions and 282 yards in three games against Power 5 defenses (Oregon State, Colorado, Alabama); Wadley had 158 total yards versus Ohio State in what was ultimately the death blow for the Buckeyes’ playoff chances. Bringing up the rear of the second round are three Power 5 players that I would be willing to take a shot on despite my concerns about their size. Pettis is a dynamo and can change a game with one touch. He had four punt return touchdowns this year and led the FBS in punt return average. He managed to increase his receptions this year but his per-touch averages decreased. He’s 6’1″ but about 195lbs so he’s a little too light. The fact that his former teammate John Ross was such a bust as a first rounder last year probably hurts Pettis even if it’s not fair. Scarborough and Adams were both productive in college but at 6’2″ they might be too tall to play running back effectively in the NFL. The comps in that size are not favorable. The best is Derrick Henry but other than that it’s a lot of no-name players over the last decade. If it makes RSO salary cap sense to take a quarterback near the top of the second, it stands to reason you should at the top of the third. Mayfield is currently my QB3 after an incredibly efficient season but I want to watch more tape. Heading into the season I had both Mason Rudolph, Lamar Jackson and Luke Falk ranked higher. Right now Rudolph would be the only one I consider putting here instead of Mayfield. Let the tight end run begin! I think everybody would agree that this year’s tight end class pales in comparison to last year but when is the right time to take one? I’m having trouble valuing them so I’ll bet others are too. My guess is that once one goes in your RSO draft, two or three will follow shortly after. Gesicki gets the nod as the top prospect because he’s bigger than both Andrews and Hurst and at least as athletic, if not more. Hurst is more of a traditional TE than the other two as he blocks better but he’s also fast enough and a good pass catcher. I had Hurst above Andrews in my early 2018 positional rankings and will stick with my gut. It takes time for tight ends to develop, Evan Engram notwithstanding, so I’ll knock Andrews down a peg because he so rarely lined up as a tight end in college. Lazard isn’t a TE but he’s a big-bodied receiver who I am a fan of. He was a key part of Iowa State’s miracle run (71-941-10). I wish I was able to find him a spot higher because it feels like I’m down on him compared to start the season but that’s not the case. Similarly to how I ended the second round, I will end the third round with a group of Power 5 players who I will take a flyer on. Tate has elite size, ball skills and body control but has just 65 career receptions. Cobbs also has elite size but he concerns me. He was suspended to start the 2016 season for “not living up to the responsibilities of the program,” and then subsequently suffered a season ending injury in his first game that year. In the summer of 2017 he was arrested at a concert. He didn’t face any discipline so it’s probably nothing but still I would worry about a pattern of negative behavior. Ballage is a bowling ball at 6’3″ and 230lbs. He is an effective receiver but averages just 4.4 yards per carry in his career. His size concerns me too. It’s hard to find a back with receiving stats like he had in 2016, so with a late third, what the heck. I don’t know enough about Jaylen Smith to properly evaluate him yet but our friends at the Dynasty Command Center are very high on him so I’ll trust their analysis. Smith had a crazy 22.9 yards per reception average in 2016 which was unsustainable (in 2017 it was still a solid 16.3). Deon Cain is another player who concerns me off the field. After a failed drug test, Clemson suspended him in 2015 for both of their College Football Playoff games and continued to hold him out through Spring practice. He lead the Tigers in yards (734) and TDs (6) this season but I was hoping for more now that he was out of Mike Williams’ shadow. Welcome to The Watch List, a resource to help RSO owners identify the storylines, players and matchups from the college game that deserve your attention. To view my weekly picks, follow me on Twitter @robertfcowper. During the college bowl season, The Watch List will continue to update you on who is fantasy relevant and worth your draft capital next year. Note: times listed are Eastern. Welcome to The Watch List, a resource to help RSO owners identify the storylines, players and matchups from the college game that deserve your attention. To view my weekly picks, follow me on Twitter @robertfcowper. Check back throughout the season as The Watch List will continue to update you on who is fantasy relevant and worth your draft capital next year. It may only be November but I think it’s time to start looking at positional rankings for 2018. I did struggle at times with these rankings as to whether they should be based on my perceived fantasy value or in what order I believe players will be drafted. Let’s say these rankings are a composite of both ideals. I will separate out the two different mindsets in my future RSO and NFL mock drafts. I have included brief notes on interesting players for each position. 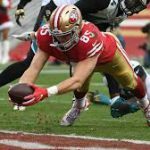 For more detailed play analysis follow me on Twitter @robertfcowper or read my weekly The Watch List pieces which have, and will continue to, spotlight future fantasy relevant players. Rosen is my QB1 because he is likely the most “pro ready” of the prospects since he is playing in a pro-style system with good size and stats. Darnold looks likely to go back but if he does declare early he has hurt is stock with too many turnovers this year. You may be surprised to see Finley and Litton on my list. 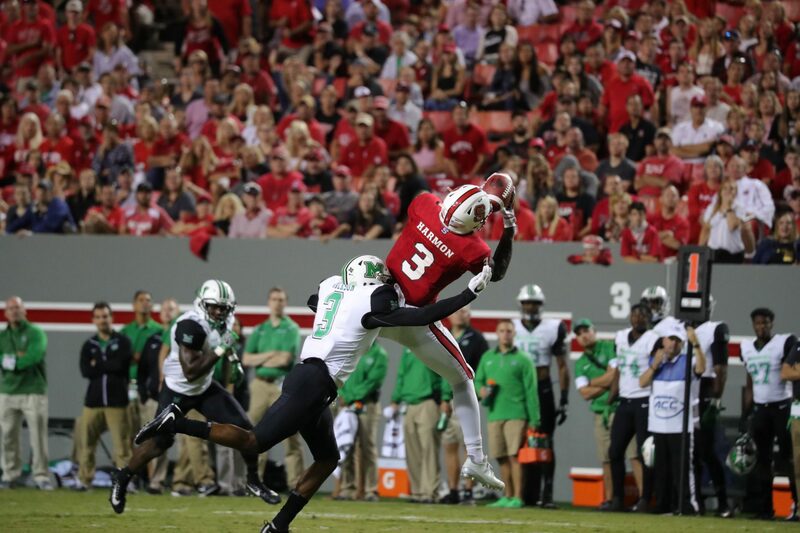 I have watched a bunch of NC State this year and have liked Finley’s ability to manage the game and limit mistakes. Litton is a big (6’6″ 233lb) three year starter whose stats have been consistent through each season (including 590 yards and 4 TDs in his two games versus Power Five opponents); no guarantee he comes out but I’m intrigued. I have Ridley at WR1 even though he hasn’t put up huge numbers this season (or last). I like his consistency because even though the offense focuses on the run, he still has three or more receptions in all but four of his 38 career games. He also has a pedigree that few can match as he was the #1 receiver recruit in his class and had a breakout season as a freshman (89-1,045-7) in 2015. He’s slight, just 190lb for his 6’1″ frame, which I have to acknowledge as a big negative because I am critical of guys like Pettis and Burnett for the same reason. Read more about my Ridley opinion in my SEC season preview. Sills, Cobbs and Burnett landed on my list because of seasons that beat my expectations so far. I included two small school prospects in James and Wilson because I always need a sleeper to root for. Watch for Wilson, he’s going to be a training camp riser for whatever team he lands on. The top four on this list may not quite compare to Howard, Engram and Njoku from 2017 but it is a very good group and I bet they will creep up fantasy draft boards given how barren the position has been this season with injury and ineffectiveness. Jaylen Samuels is my favorite prospect in all of college football right now. He has stat lines like no TE ever before (56-474-3 receiving and 39-209-7 rushing this season) and will likely project more as a FB or H-Back in the NFL. Being position eligible at TE while getting goal line carries would be an incredible fantasy advantage. If he lands with a creative offense he will be the ultimate third down weapon. Never heard of Goedert or Yurachek? Don’t worry I hadn’t either before I started my research but both are big and productive so I ranked them over some other smaller athletic types. Welcome to The Watch List, a resource to help RSO owners identify the players, storylines and matchups from the college game that deserve your attention. Check back throughout the Summer for previews on each conference and my preseason Heisman predictions. During the regular season, The Watch List will continue to update you on who is fantasy relevant and worth your draft capital next year. Josh Allen, QB, Wyoming: Depending on where you look, junior Josh Allen is one of the top quarterback prospects for 2018 along with USC’s Sam Darnold and UCLA’s Josh Rosen. I had heard and read some of the Allen hype, so going into my MWC preview, I knew he would be featured. I honestly came away a bit disappointed but with a lot of notes. I decided to watch tape of Allen against Nebraska, figuring that was the most NFL-like defense he would have faced. Nebraska predictably dominated at the line of scrimmage and Allen was under pressure all game long. 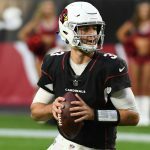 Allen finished with a horrible stat line: 16-32, 189 yards, 1 TD, 5 INTs (he also had a backward pass that was recovered as a fumble and was not charged to him). He was erratic and inaccurate for most of the game including three bad under throws which led to interceptions. The inaccuracy is borne out in his season totals too: a poor 56% completion percentage and 15 INTs. There were also at least two times when Allen was about to be sacked and he just flung the ball trying to avoid the loss; one resulted in an intentional grounding and another harmlessly hit the turf but could have been another turnover. If he doesn’t have pocket presence against Nebraska, will he have it against the Houston Texans? It wasn’t all negative though, there were some good takeaways. First off, Allen is big and statuesque at 6’5″ and 222lb. When he takes a shotgun snap and quickly gets the ball out without a drop step, he looks like an NFL quarterback. He didn’t show it against Nebraska, but Allen is a threat on the ground too (523 yards, 7 TDs). I don’t think it’ll be enough to consider him a mobile quarterback in the NFL but he could have the same 300 yard, 3 TD rushing upside as Andrew Luck if he puts on a few pounds. NFL personnel will also like the fact that Wyoming’s offense features a number of plays from under center: against Nebraska, I counted ten snaps from under center. One play against Nebraska sums up everything Allen can do right… It was a 4th and 12 from 35 yards out with just a few seconds to go in the half. Not trusting the kicker, Allen and the offense stayed on the field. He rolls right to buy time for his receivers, starts directing traffic in front of him and hurls a high arching pass to the back corner where nobody but his receiver could get to it – near perfection. 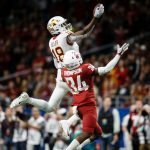 If Allen can show scouts, and RSO owners, plays similar to that throughout 2017 he will stay at the top of draft boards. 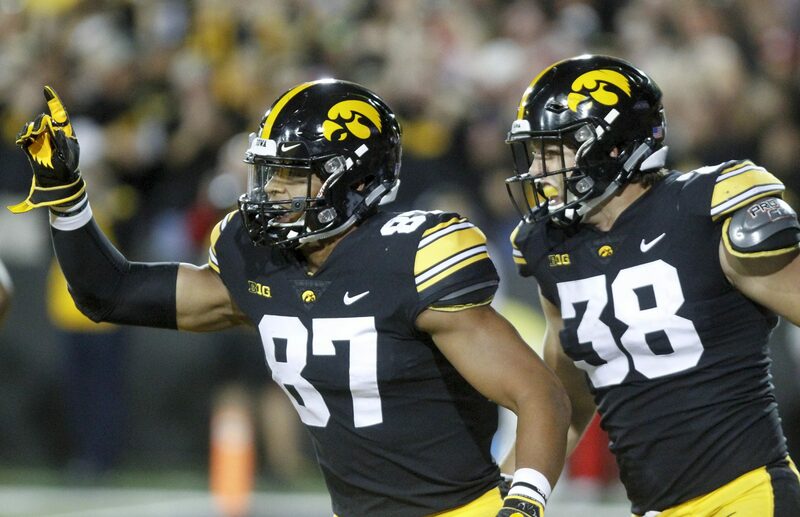 Luckily, two early season games against Iowa and Oregon will give us some good tape to digest. At this point, I expect Allen to go in the Top 5 in the NFL draft and depending on your RSO format, anywhere from mid- or late 1st (Superflex) to mid-2nd (standard). Brett Rypien, QB, Boise State: Rypien, another junior QB, is Phil Steele’s 15th ranked draft eligible quarterback for 2018. Another resource I use, Lindy’s, has him at 17th but says they don’t think he will come out early. I did some further online research and couldn’t come up with anything more definitive either way. For now, keep Rypien on your radar but don’t waste a devy pick on him. He won’t be the best at his position in the MWC but he could garner enough draft hype to force him to come out. He’s significantly smaller than Allen (6’2″, 200 lb) which caught my eye because media guides often lie and that even 200 sure looks like it was rounded up. I looked back and there are not many QBs in recent years who weigh as little as 200 lb. The lightest two from 2017 were Brad Kaaya (214) and Seth Russell (213) but at least they were an inch or two taller. Rypien is not a scrambler, but still, NFL scouts will be concerned about his ability to stay healthy throughout a season. His stats over two years as the starter are good: nearly 7,000 yards, 44 TDs, 16 INTs and a 62.8% completion percentage. Ultimately, I think Rypien’s stock will be buoyed by the name cachet of Boise State and some gaudy numbers, like the 5 TD game against New Mexico last year, but once he hits the combine, his stock will fall. Cedric Wilson, WR, Boise State: Rypien will need somebody to throw to and more often than not, that will be 2016 JUCO transfer Cedric Wilson. Wilson is tall at 6’3″ but needs to add at least ten pounds to his 183 lb frame (since 2010, no WR measuring 6’3″ weighed less than 194 lb at the combine). I watched Wilson’s tape against San Jose State and he really impressed me as a blocker: he flew in with reckless abandon, and with effect, multiple times. I was disappointed in seeing how often he lets the ball get into his body rather than catching it with his hands, hopefully something he can improve on. In the tape I watched, it seemed that his height was wasted on crossing patterns and bubble screens, routes that don’t seem to match his stature; I’d need to watch more film to see if that was constant throughout the season. Wilson averaged an impressive 20.2 yards per reception in 2016 so even when he gets the ball near the line of scrimmage he can pick up yards. Michael Gallup, WR, Colorado State: Like Wilson, Gallup is a former JUCO transfer so we don’t have much of a sample to work on, although what we do have from 2016 was great: 76 receptions, 1,272 yards and 14 TDs. 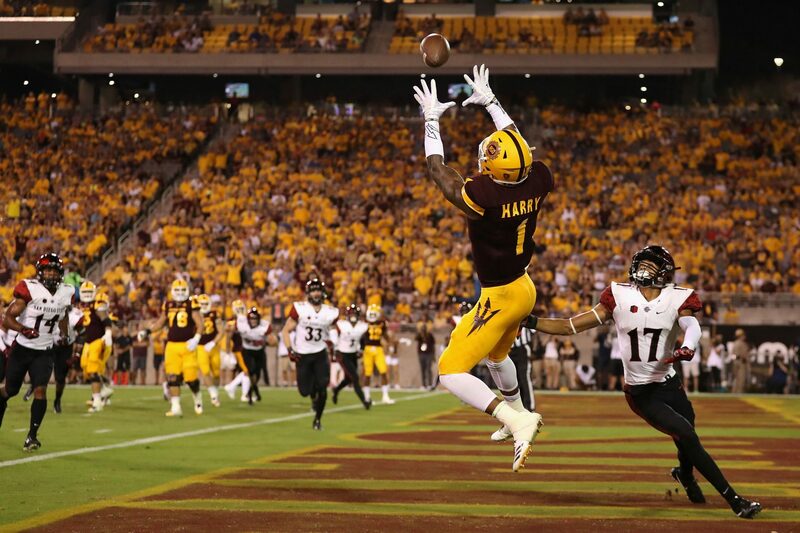 He had monstrous games against Air Force (13-213-1) and San Diego State (7-139-3) so we know he can dominate a game. I’ll be interested to see how he tests at the combine; when watching highlights of him, it seems like he accelerates faster than anybody else on the field once the ball is in his hands. 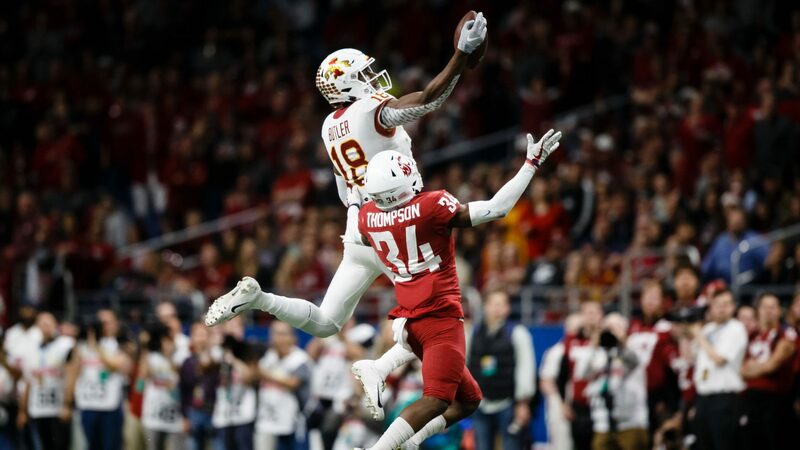 He had a number of nice contested catches against Fresno State and Air Force so his ability in the air might be better than his 6’1″ height would suggest. I’m going to keep Gallup’s name filed away and check in late in the season to see if he dominates the MWC like he did in 2016. If so, he could be a late round steal for a savvy RSO owner. It’s all about the Mountain Division: Forgive me West Division, but I just don’t find you interesting. The Mountain will feature a three team race to the conference championship between Boise State, Wyoming and Colorado State. I’ve written enough above and below about Boise and Wyoming, who will go as far as their quarterbacks can carry them, but let me spill a few more words about Colorado State. They won’t feature the best QB in the league in Nick Stevens but they will likely have the most potent ground game. Head Coach Mike Bobo likes to spread the carries around, evidenced by having three 500+ yard rushers the last two seasons. Two of the backs, Dalyn Dawkins and Izzy Mathews, were there for both seasons and will provide a good one-two punch. As I mentioned in my MAC preview when I picked Central Michigan as a potential division spoiler, I like to consult Phil Steele’s experience charts to find teams that could outperform last year. The Rams return a whopping 88% of their offensive yards from 2016 (15th in the NCAA). That bodes well for 2017. The games between Boise, Wyoming and CSU should be fun to watch and will feature a number of NFL prospects. They should be high scoring too: the teams ranked 52nd, 104th and 69th in total defense respectively. San Diego State’s special teams will steal them a big win: I have otherwise ignored the West Division in this preview but I knew I had to at least mention the team that should win the division: San Diego State. Strangely, it was their special teams that stood out to me. RB/KR Rashaad Penny won MW Special Teams Player of the Year the last two seasons (32.4 average with 5 TDs). Penny will also see an uptick in touches on offense with Donnell Pumphrey gone to the NFL; he had nearly 1,300 yards from scrimmage and 14 combined rushing/receiving TDs in 2016. Kicker John Baron was an impressive 21-23 with a long of 50 yards. Reliable college kickers are hard to come by and an explosive return man can be a significant field position advantage in a close game. My bold prediction is that the combination of Penny and Baron will help the Aztecs steal a non-conference win against either Arizona State or Stanford. September 1, Colorado vs Colorado State; September 16, Colorado State at Alabama: The Rams have a tough non-conference schedule in 2017 (also including Oregon State). Colorado and Alabama had the 20th and 24th ranked pass defenses last year, respectively, so they will be a great test for WR Michael Gallup. Gallup went 10-81-1 combined in his two biggest games last year against Colorado and Minnesota so he needs to prove that he can produce against NFL talent, not just against our future servicemen. 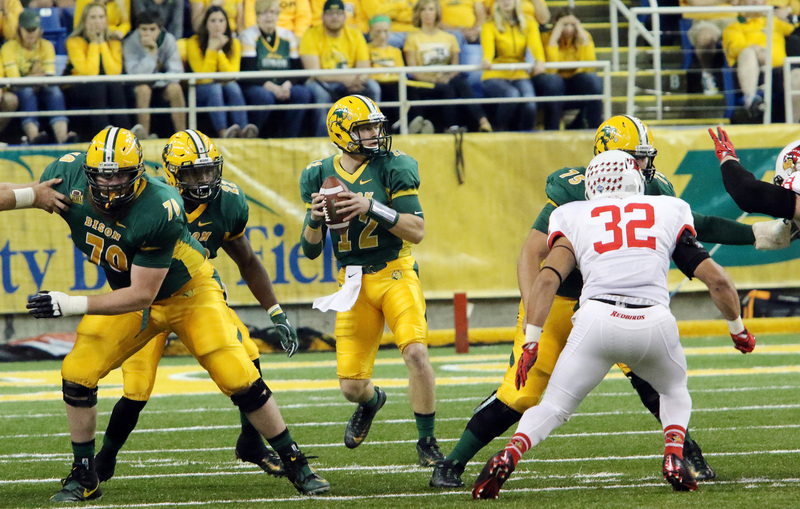 October 21, Wyoming at Boise State: It’s all about the two quarterbacks: Rypien vs Allen. Most of the games these two play this season won’t make it onto the national radar but this one should be with a late eastern time zone start time and not much else scheduled against it. They’ll both need to make it count as it will be the biggest game they play in the second half of the season until a bowl game and another national broadcast.